GP appointment booking by clicking find out more. We appreciate that you work hard too. in the evenings and at the weekends. Need help with a minor health concern? Welcome to Valens Medical Partnership, a GP Partnership which consists of three Northumberland GP groups all working together to provide a better, wider range of services for all of our patients. By combining the advantages of our existing GP practices, working closely in local communities, with the medical, technical and financial opportunities that a larger scale operation can generate, we’re able to deliver exceptional patient care. By sharing best practice and specialist services, our aim is to give our patients a better care experience and provide our staff with an improved, fulfilling working environment. 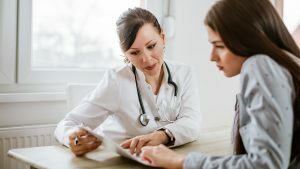 Through this site, you can now do a lot of things from the comfort of your home such as order a repeat prescription, cancel an appointment or book a telephone appointment to decide whether you need to visit the doctor. Here you will also find a wealth of self-help and stay-well advice. Not sure which service you need? 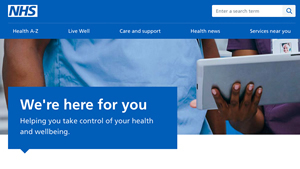 Find out more about services that the NHS provides here. We have an active Patient Participation Group. Through patient surveys, quarterly meetings (if you can make it) or by becoming a ’virtual corresponding’ member, you can help support our practice on its mission to continuously improve. Patients aged 18-35 are generally under-represented in our group, so please click the button below to apply, WE NEED YOU!